Madison is fortunate to host many fine Bed and Breakfast establishments in historic and contemporary settings. Listed below you will find information on lodging as well as links to homepages and/or e-mail addresses for many of these delightful accommodations. 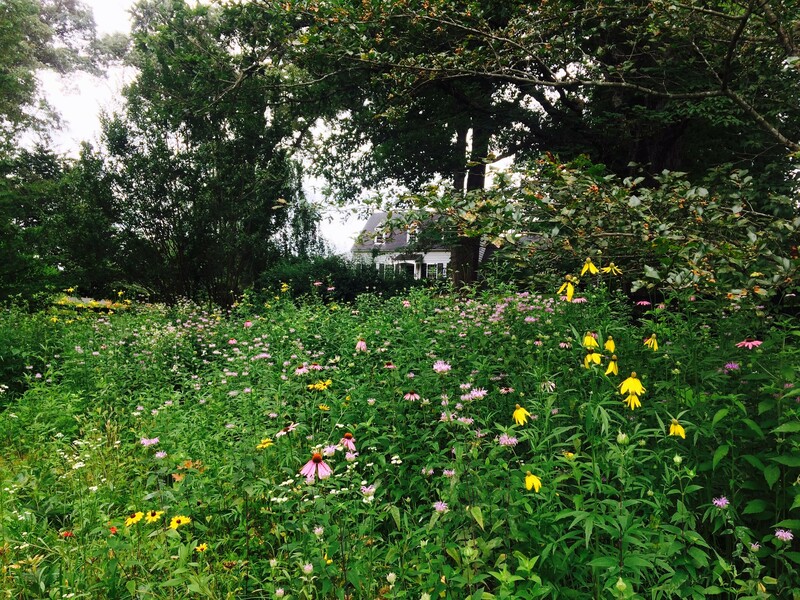 Rose River Farm features three exceptional (Trip Advisor Rated Excellent) rental cabins for overnight guests located "catty corner" to the main farm on a private 20 acre parcel that has beautiful views of the Blue Ridge Mountains and the Rose River Valley. The round cabins are modern day interpretations of classic Mongolian Yurts. Constructed of cedar, glass and steel, each cabin is over 1,100 square feet and has central AC/Heat. All three cabins feature two bedrooms with two full baths. Each bedroom has two double beds. The living room features a domed 17 ft ceiling, leather club furniture and a jumbo flat screen TV with satellite, DVD player and even an iPod docking stereo. Unlimited high speed WIFI is available at no charge. There is also a full kitchen (stove, oven, microwave, full size fridge and freezer with ice maker) and a nice round dining / gaming table for eating or a little evening cards. There is even a fly tying table with a Regal vise. Early Mountain is a winery nestled in the foothills of the Blue Ridge Mountains with breathtaking views, come for the wine, the events, the dining, and your wedding. They have a bride's cottage to prepare for your wedding there! Graves' Mountain Lodge borders the Shenandoah National Park with 1500 acres of lush farmland. Begun as an ordinary in the 1850's (a traveler's inn), the Lodge now provides 55 motel rooms and 16 unique cabins to overnight guests. The homestyle, all-you-can-eat meals are worth a trip in their own right, but there's plenty else to round out the day. Visitors can taste the wines at DuCard Vineyard and hike past the spectacular waterfalls of White Oak Canyon, all within a 5-minute drive. Fishing spots abound, the educational farm and stables offer horseback rides, and a web of nature trails runs through the orchards and grounds. Get outdoors, and come experience the bounty! Located in Syra, Virginia. Lovely B&B in Radiant with three guest bedrooms offering Breakfast and "pub" space downstairs. Built around 1850, this historic home has been in the Hood family for 5 generations. Fully renovated with all the modern conveniences, the house is located 5miles west on route 230 from route 29 in award winning Wine Country. 5 spacious bedrooms - 4 with queen beds, 1 with twin beds, 3 1/2 baths gathering room and more. Also available for luncheons or dinners up to 30 people catered by Mill Valley BBQ. Escape to Virginia Wine Country at The Inn at Meander Plantation. The essence of Virginia... Romantic, historic 1700s country inn and restaurant offers elegant accommodations, acclaimed fine dining, extensive Virginia wine list, gracious setting and warm hospitality. 10 stunning guest accomodations await your pleasure. La Bella Terra is a two-over-two farmhouse on 3 acres of land perfectly positioned between Route 29 and State Scenic Route 231. It features two guest bedrooms in the old farmhouse, two living rooms with working fire places, a large dining room/galley, a fabulously comfortable South porch overlooking gardens first planted in 1840, an expansive West porch for sunset viewing over Madison County's most scenic Blue Ridge Mountain views, and a large deck with above-ground pool. Yoga instruction is available on site. Countryside cottage with newly renovated pool! Welcome to Medellin Meadows! Our charming 2 bedroom guesthouse is located in the middle of our 23 acre farm. Currently the property is being used for hay but we occasionally have cattle (and one donkey). Our guesthouse is perfect for that weekend getaway out of the city. Between hiking (Old Rag Mountain, Skyline Drive, White Oak) fall festivals (Apple Harvest Festival, Hoover Wine Fest, and Blue Grass Festival) at Graves Mountain Lodge, Wineries (Early Mountain, Prince Michel, DuCard, and Revalation ) and a NEW BREWERY Bald Top there is plenty to do! We highly recommend the farmers markets on Saturdays and relaxing by our pool during the summer season. We have a small pond on the property- we aren't sure if there are fish but we know there is a snapping turtle! It is a little ways from the guesthouse (we can drive you there on the gator). We also love our beautiful mountain views from the top of the driveway. This luxury cabin offers peace and tranquility with two bedrooms, a sleep sofa, full kitchen, many activities and more. Rosemary's Nest is a country home nestled atop a hill side that stands watch over the Blue Ridge Mountains. This secluded home provides privacy, comfort, and is conveniently located near the Shenandoah National Park. If you are looking for a place to stay from today's ultra-cluttered world this is the perfect get-away spot for a day, a weekend, or as long as it takes you to unwind and rejuvenate. Over 1500 sq feet offers two large living areas, private bath, kitchenette and large bedroom with two queen size beds. Rosemary's Nest. Where the beauty of nature greets you. Contact the owner's at [email protected] The cabins are also ideal for the non fishing spouse. Bring Your Horse! Pasture space is even available for those who want to bring their horse or we have an outfitter who can provide horses for local trail rides into the National Park leaving right from your cabin. Seven Oaks Retreat Center offers many programs and lodging! Pre-Civil War home with views of Shenandoah National Park, with cottages, lake for canoing, fishing & horseback riding. Separate Retreat Center for groups up to 130 people. P.O. Box 770, Madison, VA 22727. Anne & Douglas Farmer (540) 923-4300. Spectacular, private lodge for rent by the week or weekends at the foot of Old Rag Mountain on 60 private acres. Outstanding mountain views. 4 bedrooms and convertible beds – 3 baths. Sleeps 12-14, hot tub, sauna, fireplace, 18’ stone bar, smokehouse, satellite tv. The Ebenezer House, a country chalet, was once The Ebenezer Methodist Church in Culpeper, Virginia, built in 1901. Dismantled in 1984 by Richard Gordon, a well known Madison cabinet and furniture joiner who moved the building to the foothills of the Blue Ridge Mountains in beautiful Madison County, near the Rapidan River, just off of Route 29 onto Route 621, West. Visit us at Email [email protected] or call (540) 948-3695. 122 Seville Road, Rochelle, VA 22738. Suites are available Sunday thru Thursday for $175 .00 plus tax per night. Friday and Saturday nights are $175.00 plus tax per night. * Limited concierge service is available during regular business hours. For reservations, and or, options for longer rentals please call Prince Michel at 1-800-800-wine (9463) or email at [email protected] Michel will be happy to recommend, and or, arrange for dinner reservations at the best central Virginia restaurants!Wine Club Members receive 15% discount off entire stay! A distinctive and historic property available for an exclusive rental experience. Looking for the ideal combination of active/active social getaway to with your family, friends or business colleagues? Then considering renting Whippoorwill Manor Farm for a week or weekend retreat. 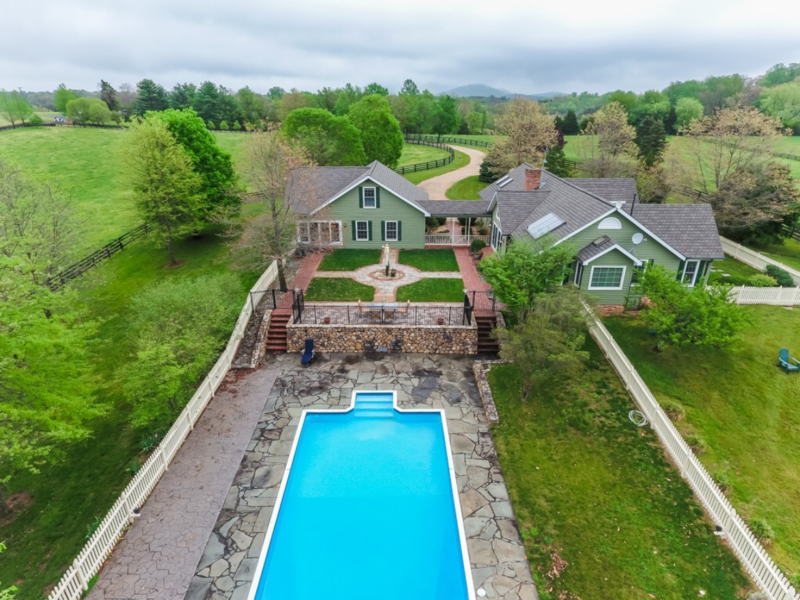 You will have the ability to explore its 110 private acres with over 5 miles of mountainous hiking trails and enjoy a park-like atmosphere of this traditional farm setting to include its many beautiful barns and buildings. The farm is only 6 miles from the parking lot for Old Rag Mountain in Shenandoah National Park, and minutes from Sharp Rock, DuCard, Prince Michel Vineyards and the town of Madison. The farm can be enjoyed in all seasons. White Oak Run Carriage House Quaint, two bedroom, one bath home, with full kitchen and amenities, nestled in the heart of Madison County, overlooking beautiful farmland and mountains. To book your relaxing stay, please call Ali at 540-222-4070. Seasonal and extended stay rates vary. Come experience the good life in Madison, Va. We are one mile from Early Mountain Vineyards and a short distance from others. We are a 5-minute drive to a local trail head to the Shenandoah National Park trails. We are 20 minutes to north Charlottesville/Holly Meade. Bike, hike, vineyard tour, or go antiquing and enjoy a comfy bed and a spacious room when it's time to turn in. In the evening, enjoy the conversation room where you can sit by a mesmerizing fire in the evening. We also have a fire pit outside, when star filled nights make it too beautiful to go inside. Guests have a private front door entrance and the entire front end of the house, including the conversation room and the two upstairs bedrooms and the huge bathroom. We only rent to one party per weekend, so you have the entire space to yourself! Guests comment on what a great thing it is to have a huge private suite. Although there is not a full kitchen, we have a dining room with a big farmhouse table and we provide a mini-fridge and a Keurig coffee machine for your convenience. Come enjoy! The vineyards, restaurants, history, and arts/antique markets are abundant! Early Mountain Vineyards, recently featured in the Wall Street Journal, is being nationally touted as a premier vineyard destination in Virginia, and is 2 miles from our front door. MadArts offers weekly classes for those looking for a creative workshop and a getaway weekend. We have a separate out building that can be specifically used as a guest artist studio space. If you are a quilter, there is a great quilt shop in Historic Downtown Madison. We also have an old time mercantile store, an excellent farmers market on Saturday's, and a mennonite market open year round offering local fare.